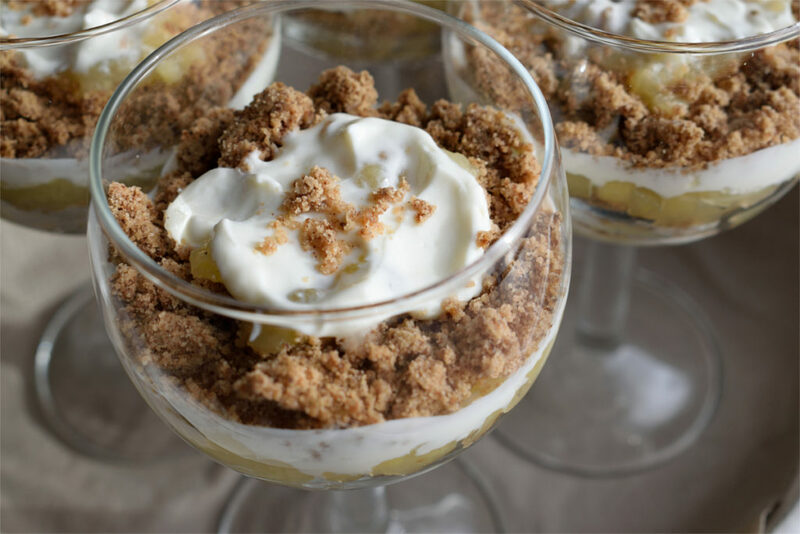 This dessert is a cross between a trifle and an apple crumble. 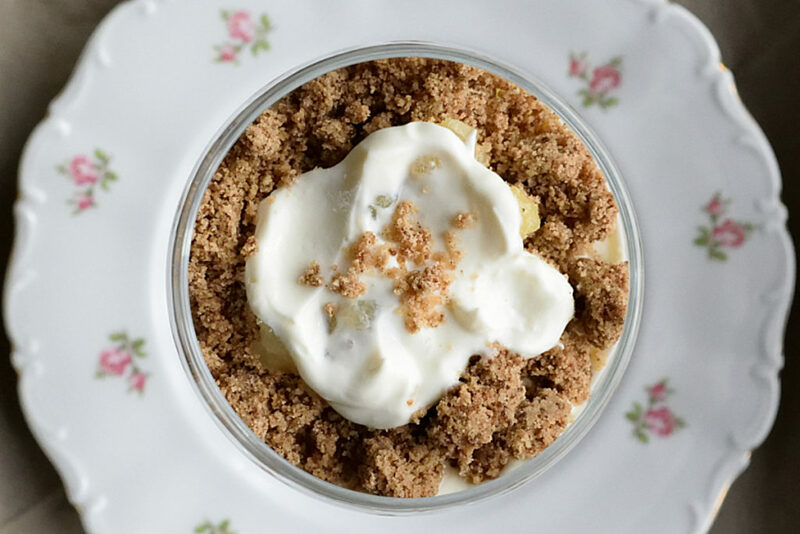 The crumble and honey add sweetness, while the sour cream and apples add a bit of freshness. When I was at the dairy section of the supermarket, looking for the sour cream for this dessert, I felt a little bit overwhelmed. There were tons of different kinds of cream to choose from, all with slightly different names. In the end I accidentally ended up with a tub of crème fraîche instead. So I started wondering: the products seemed similar. But are they really? The answer is that they are similar but not the same. They are both made from cream. This is the layer of butterfat that floats to the top when raw milk is allowed to sit for little bit. The cream is then fermented by lactic acid bacteria. This process is called souring and it gives both crème fraîche and sour cream their taste and texture. Where sour cream and crème fraîche differ, is in their fat content. Crème fraîche has a fat content of about 30%, where sour cream only contains 20%. With dairy, it’s fat that dictates the thickness of the product. Because of this, sour cream is more likely to curdle especially when heated. To counteract this, some brands add gelatin or other stabilizers to their sour cream. As far as taste goes, crème fraîche is slightly less tangy than sour cream. When it comes to cooking, it’s better to use crème fraîche since it’s more stable when heated. When you want to add a tangy note to a cold dish though, sour cream is the best choice. Which, completely coincidental of course, was what I wanted to do. 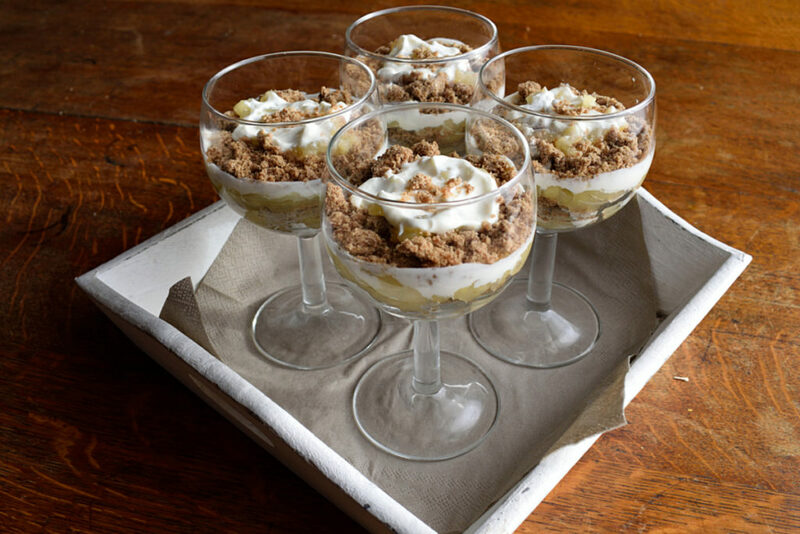 This dessert is a cross between a trifle and an apple crumble. 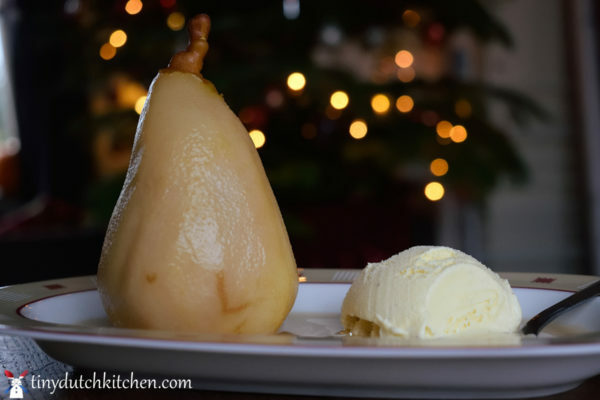 The crumble and honey add sweetness, while the sour cream and apples add a bit of freshness. This dessert is not overly sweet. Me and the family prefer it this way. If you however have a bit of a sweet tooth, you may want to add some extra sugar. Pre-heat the oven to 200°C (390°F). 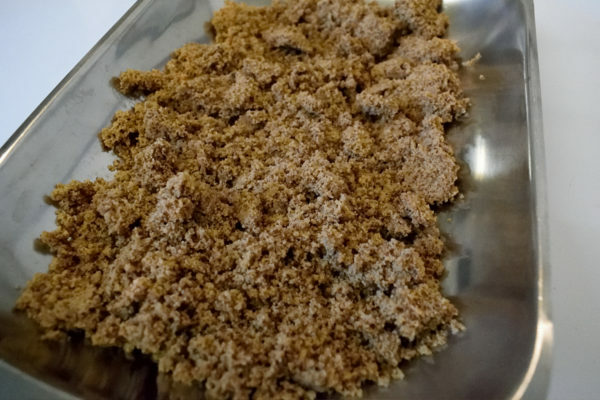 Add all the ingredients of the crumble to a food-processor and process until the mixture resembles breadcrumbs. Spread the mixture on a tray and bake in the oven for 30 minutes. Then leave to cool. Meanwhile, make the apple filling. Peel and core the apples, before finely chopping them. Stir through the lemon juice to prevent them from turning brown. 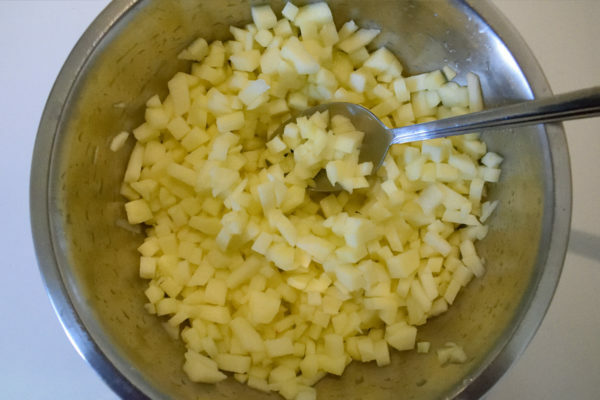 Add the apple pieces to a pan and cook on a medium heat for about 5 minutes. 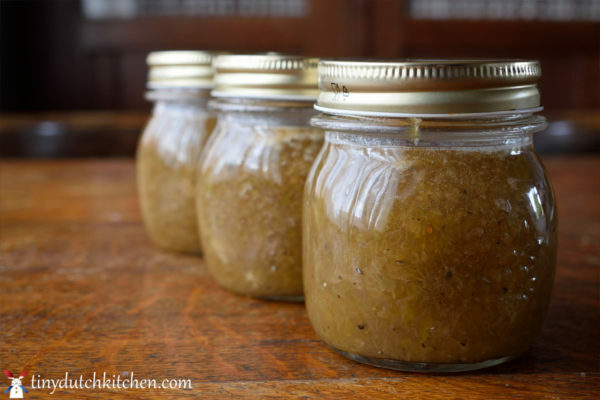 Add a tbsp of honey and season with white pepper and nutmeg. In a separate bowl, mix the cornstarch with the warm water. Make sure there are no lumps. 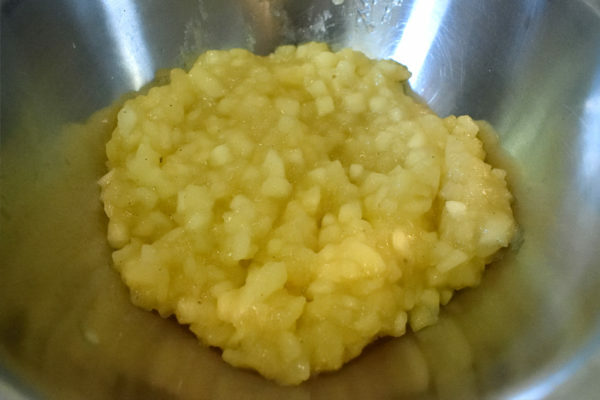 Add the cornstarch mixture to the apples and cook on a low heat for another 2 minutes. The remove from the heat and leave to cool. When you're ready to start assembling your dessert, mix the sour cream with 1 tsp of honey. Start by layering 1 tbsp crumble, 1 tbsp apple filling and 1 tsp of sour cream in each glass. Repeat until all the ingredients have been divided. Remember to leave a little bit of crumble as decoration for the final layer. 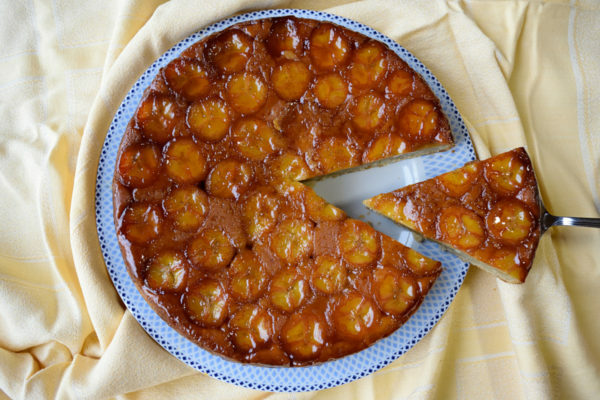 Serve the desserts at room temperature. They're best assembled shortly before serving. 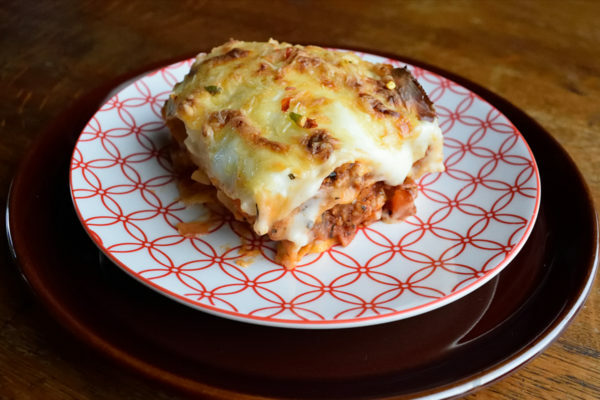 Lasagne with celeriac and carrots.